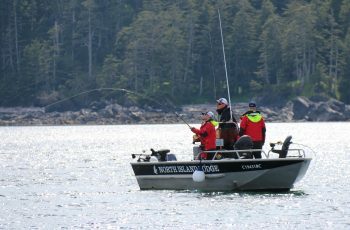 This past trip at North Island Lodge we welcomed back the Annual Reeling for Ronnie charity fishing tournament. 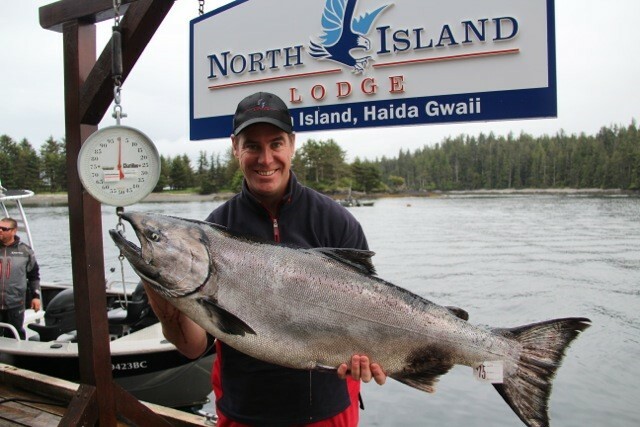 The tournament kicked off in full force with self-guided guest Pat Parent rolling in with our second 42 pounder of the season. 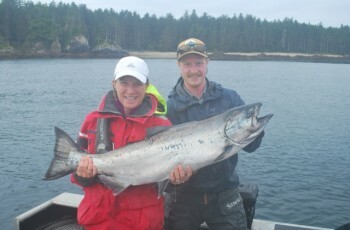 The unofficial results – Pat took first place with this beautiful fish and it’s a repeat win from last year. 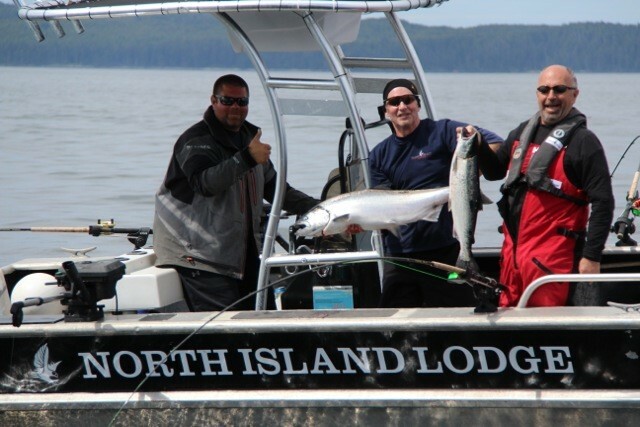 North Island veterans Geoff Wilcox and Gregg Peterson show off their catch during the Reeling for Ronnie tournament. 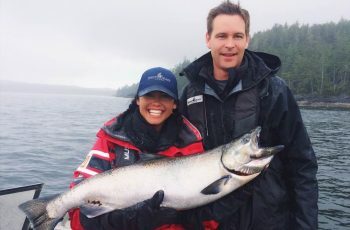 Sunny skies , flat seas and a good mix of Coho and Chinook Salmon made for some happy anglers. * Guide DJ with guests Geoff Wilcox and Gregg Peterson. 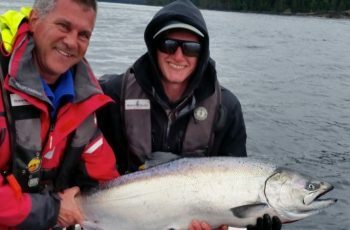 With lots of Chinook in the mid teens to mid twenties and Coho showing up in greater numbers each day, Jim, Gordon and Gregg took some time out from Salmon to go after some Halibut. 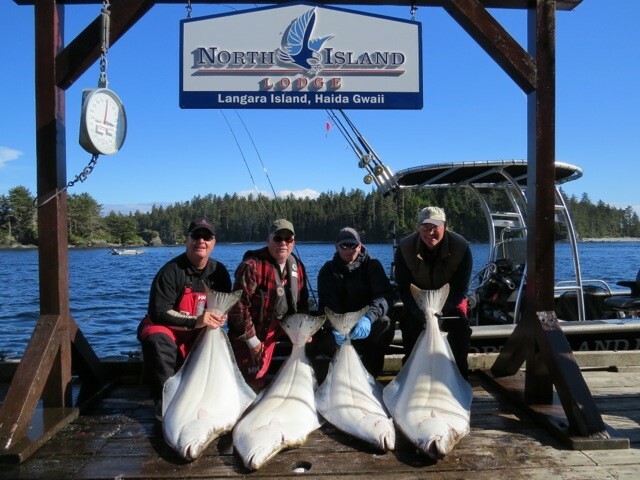 * Guide Brent Gallacher got his guests Jim, Gordon and Ted on a patch of 40-60lb Hali’s. 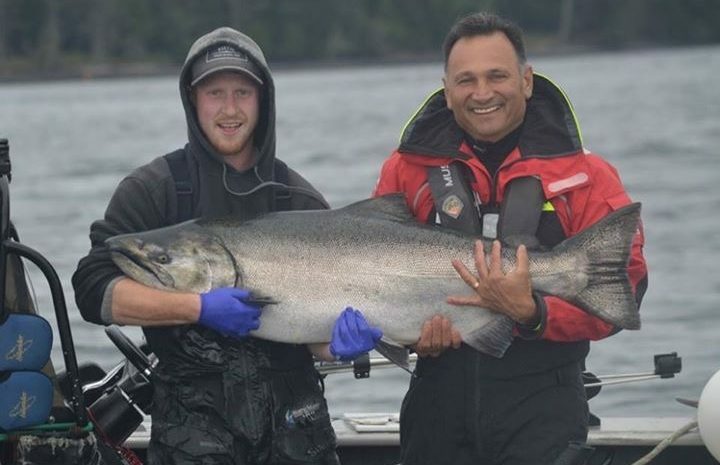 They also released a 175lb Hali. 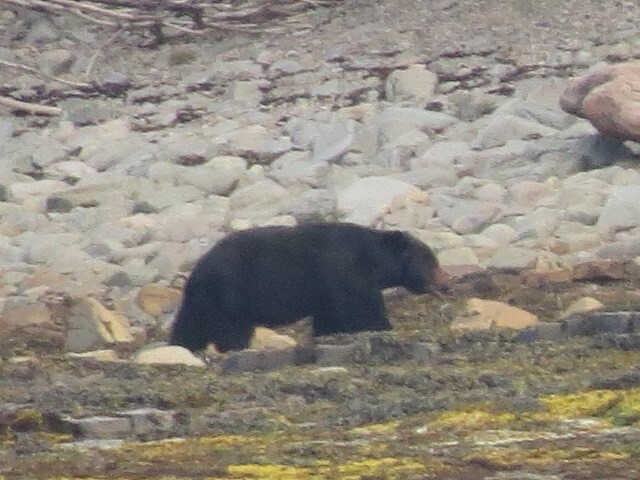 Among the whales and eagle sightings while fishing, this fellow made a debut on the shores of Bruin Bay. 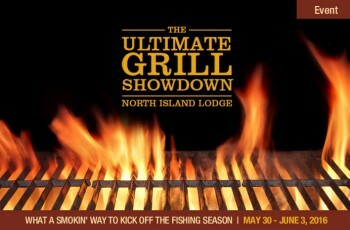 Tournament anglers watch the weigh in while enjoying a cocktail from North Island Lodge’s deck. It was a pleasure to have the Reeling for Ronnie group back this year! We hope to see them again next year. Stay tuned for more reports! Todd and staff…thanks for everything, as usual you go above and beyond and we all had a great time not to mention raising over $7500.00 for the Ron Brown Scholarship Fund. See you next year !